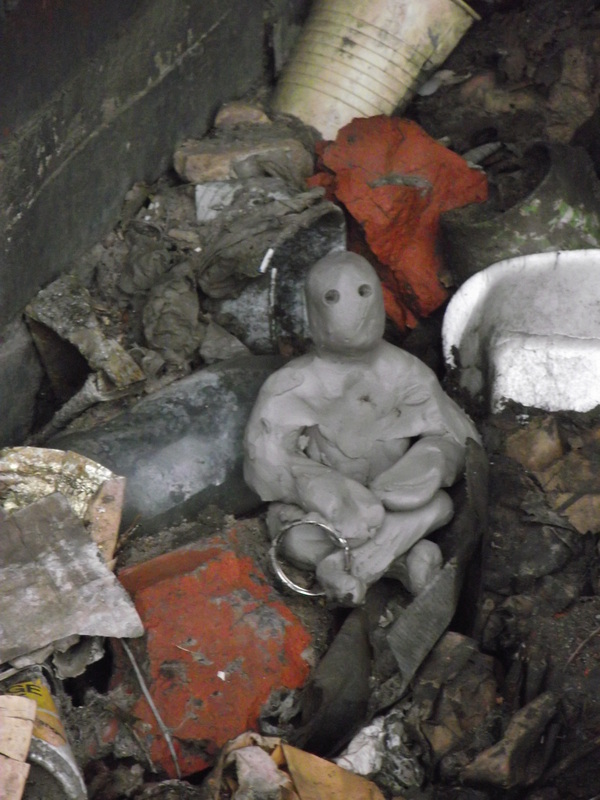 I left him in the disused doorway amongst the rubble, the crumpled cans and all the other abandoned. The arms and legs of a dismembered toy doll were mingled with the detritus. He was safe amongst the lost as no one would notice him there by the side of the ring road. Commuters passed everyday, unaware that from the shadows of the old building they were being watched with a calm and kindly gaze. Over those days many of the other children disappeared from the city, taken or swept up by street cleaners, but he remained; a benign presence. Sheltered in the doorway, with a darkening grey from the car fumes, he was one with the grime. And I would smile as I passed, he was so well hidden that I knew he would last the wilderness days. The fortieth day came and I took the short walk from my studio to find him, just round the corner where I had seen him waiting patiently the day before, ‘not long now’ I’d said. His shattered body was strewn across the pavement, limbs and torso scattered from the impact. 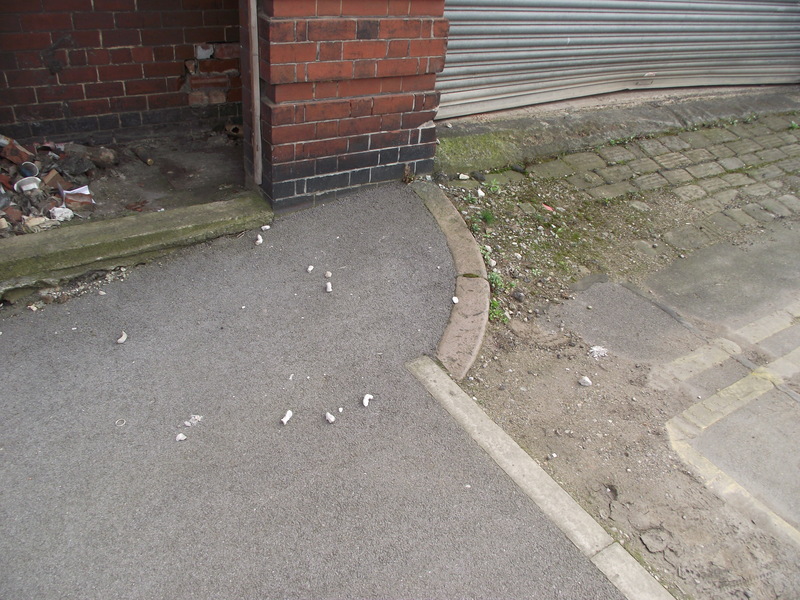 In the gutter, by the double yellow lines of a dead end street, his head had rolled and was crushed to a powder. I stood in silence whilst the commuters filed past on the ring road, unaware that they were no longer watched. I had always thought that it would take a special type of person to spot this child. They would have to observe the world, to see deeply, to be open to the possibility of wonder in the midst of the discarded. But I never expected that, having made the effort to find beauty in such an unexpected place, they would also find the urge and the ability to destroy it.